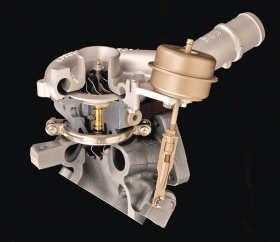 Turbochargers became a popular feature. A big push began this year to reduce engine size -- and, as a result, fuel consumption and emissions. Ford Motor Co. began the rollout of its EcoBoost engines in the Ford Taurus sedan and Flex crossover and several Lincolns. But other automakers, such as Audi, Acura and Hyundai, now are offering smaller turbocharged engines. Mercedes-Benz, Ford, Lexus and other automakers offer systems that sense when a crash is about to occur and prepare the car to lessen the impact and reduce injuries. On the Ford Expedition SUV, for example, the roof-mounted airbags deploy when the vehicle tilts past a certain point, signaling an impending crash. In Mercedes and Lexus vehicles, sensors activate the brakes just before a collision to reduce the stopping distance. Seat belt pre-tensioners snug the driver and passengers into the seats. Remote-controlled starting systems, once available only on the aftermarket, now are available as options from automakers. By pressing a button on the key fob, the engine starts and the interior can be warmed or cooled before the driver enters the vehicle. In 2009, six-speed automatic transmissions began showing up in more nonluxury cars. A sixth gear can increase fuel economy 3 to 5 percent at highway speeds. 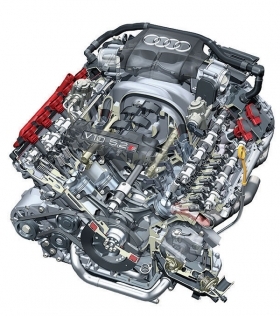 Gasoline engines with direct injection can increase fuel economy as much as 20 percent. With direct injection, the fuel injector is moved from the intake manifold to the cylinder head near the spark plug. It is now found on such vehicles as the Chevrolet Equinox crossover, Ford Taurus SHO and many imports. Toyota was first in 2006 with its laser-based Advanced Parking Guidance System on the Japanese market Prius and then several Lexus models. But it's an expensive option: $4,769 on the Prius, for example. 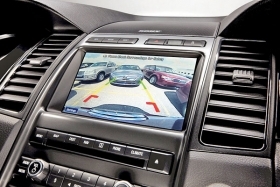 In 2009, Ford introduced a simpler, camera-based automated parking system and made it a $595 option on the Flex. Both systems use electric power steering to maneuver cars into tight spaces. Electric parking brakes, first used on luxury cars from Jaguar, Lincoln and Mercedes, are turning up in nonluxury brands such as Subaru. The electric brake eliminates the brake handle or pedal, ratcheting mechanism and cables. A small lever on the dash or center console activates a motor on the brake caliper to squeeze the brake pads against the disc. Here's another feature migrating from luxury to mainstream vehicles. Next month Nissan will offer a built-in navigation system on the Versa compact that costs just $400. The old engine-driven hydraulic pump and rubber or steel brake lines are being replaced by rack-and-pinion systems that use an electric motor mounted in the steering column or engine bay to turn the wheels. Electric power steering is easy to tune and cuts manufacturing costs. Luxury cars from Mercedes-Benz and others are the first to move away from mechanical and electromechanical speedometer, temperature and fuel gauges. LCD gauges create an image of a gauge on a screen in sharp detail. The system has fewer parts and requires less space.